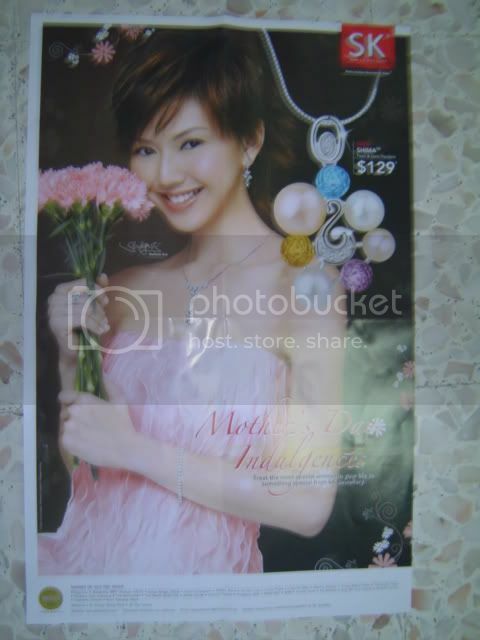 Whee, i got two YanZi SK Jewellery Mothers' Day posters, one slotted in Straits Times and the other on this week's I Weekly ... really cute XD. The poster in I Weekly is the same as the one slotted in the newspaper, so here's the A4 side advertisement in the I Weekly magazine. 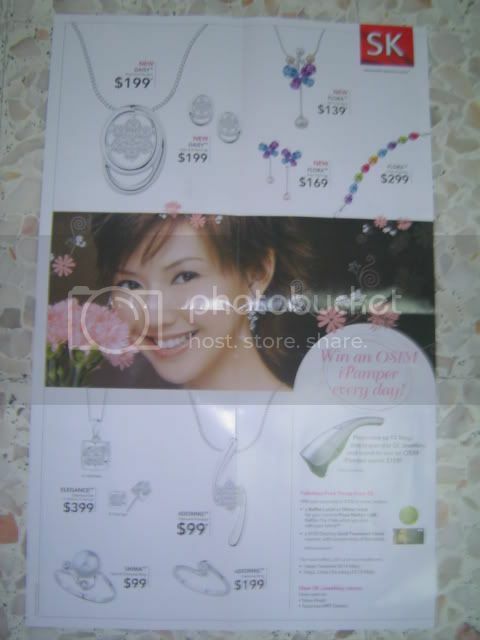 I'll probably get some brochures from SK Jewellery shops later ... muahahahaha YanZi forever!!!! Oh, btw, YanZiUnlimited website/forum is up again lol, click here to go in. Remember to sign up again =]. Look, even Mercy Relief bear bear is logging in LOL XD. Anyways, did you guys watch the YanZi Hong Kong Concert Special Telecast on TV at 2.30 PM, Channel 8 just now? I did for the first 30mins until the stupid rain and thunder came along. I was like switching on the house power then black out again for around 6-7 times before i cried bloody murder and started cursing the sky, thunder, god and everything lol. In the end, the last part i saw was YanZi singing 'Green Light' before i gave up and started my beautiful string of curses again lol. Sigh. Then i realized, i could buy the DVD and watch a million times and noone will be there to stop me MUAHAHAHAHAHAHAHA. I'M HAVING THE LAST LAUGH NOW MUAHAHAHAHAHA FREAKING IDIOT THUNDER! DIE YOU SUCKER! DIEEEEEE! MUAHAHAHAHAHAHA Ok, i'm nuts. PS: Happy Mothers' Day to all mothers out there XD.